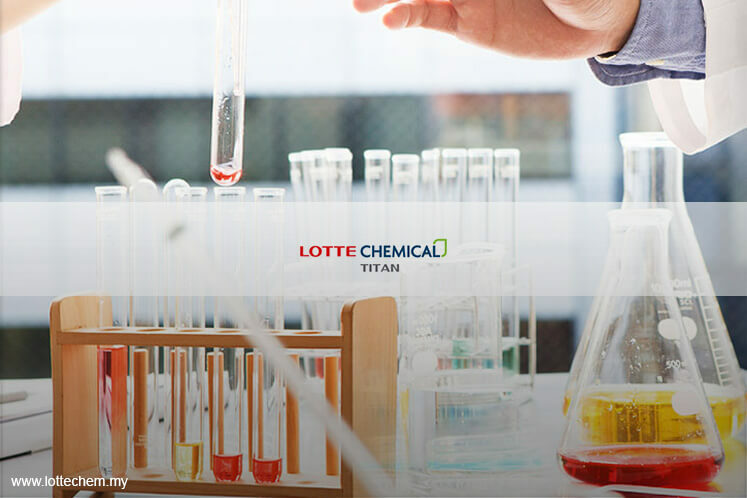 KUALA LUMPUR (July 3): Main Market-bound Lotte Chemical Titan Holding Bhd (LCT) has reduced the number of shares it will offer in its initial public offering (IPO) by 21.7% to 580 million shares, from 740.48 million previously. Additionally, LCT will be making a buy-back offer for IPO shares subscribed by any investors affected by this latest development on the IPO, it announced in a bourse filing today. LCT, who is set to go on listing this July 11, struck out 160.48 million IPO shares from the institutional offering. Meanwhile, the other components of the listing scheme will remain unchanged. This includes the retail offering of 55.78 million shares, as well as the over-allotment option of 55.54 million shares, now representing up to 9.6% of the new IPO size. “Since the retail offering has already closed on 28 June 2017, which is prior to this Announcement, the company is cognisant that retail investors and non-cornerstone Bumiputera investors approved by MITI do not have any opportunity to act on or reconsider their investment decision at this juncture, based on information set out in this announcement. “The period for the company to buy back such IPO Shares from the affected investors will be 5 market days, commencing one market day after the day of the listing on July 11, 2017,” it said. Further announcement on the share-buyback will be made no later than July 5, while payment from the buyback will be made by August 1, LCT added. At an earlier indicated price of RM8 per share, the smaller IPO will reduce the total fund to be raised by LCT — representing a revised 25.13% of LCT’s enlarged share capital from 30% earlier — to RM4.64 billion, from RM5.9 billion previously. “Although the institutional offering had been scheduled to close on 29 June 2017, the price determination date did not occur,” LCT said. Accordingly, the institutional offering will close at 10pm tonight, whereas the price determination date will take place tomorrow (July 4). Meanwhile, the company said the approval for listing of its entire enlarged share capital of 2.31 billion shares, worth RM6.69 billion, has also been obtained from Bursa Securities today. LCT, currently wholly-owned by Lotte Chemical Corp, has turned to the stock market to raise fund, mainly for the development of its US$3.5 billion (RM15.4 billion), one million-tonne-per-year naphtha cracker plant in Indonesia. The chemical giant has landed five cornerstone institutional investors to acquire around 136 million shares in the company. They comprise Permodalan Nasional Bhd, Eastspring Investments Bhd, Great Eastern Life Assurance Malaysia Bhd, Maybank Asset Management Sdn Bhd and Maybank Islamic Asset Management Sdn Bhd. LCT’s IPO is set to be the biggest IPO in Malaysia since 2012, when the local bourse saw two billion-dollar listings by Felda Global Ventures Holdings Bhd and Astro Malaysia Holdings Bhd.